How much does a Check Engine Light Is On Inspection cost for your car? 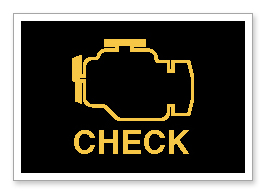 The cost of a Check Engine Light Is On Inspection depends on the type of car you drive. The check engine light is illuminated. This often happens because the gas cap isn't tight enough. Ensure your gas cap is tightened until it clicks. If the light is still on, this service is just what you need. One of our expert mobile mechanics will come to you to properly diagnose and assess the issue. We will perform a full car inspection and if our mechanic can't fix it on the spot, we will provide a cost and parts breakdown to you to ensure you understand what the problem is, how it will be fixed, and how much it will cost. Loose or damaged gas cap. A blinking illuminated check engine light indicates a critical issue, whereas a solid light reflects a non-emergency situation. If you've identified that the illuminated light is not because of a loose gas cap, it's highly recommended that a mechanic diagnoses the issue as soon as possible. Otherwise, your car can incur serious damages which can be even more costly in the long-term. We will use a computerized scanner appropriate for your vehicle to identify the error. This is a legit service! This is a legit service! Tech came to my home as I was prepping for a BBQ on a Saturday. He fixed the issue, gave a good explanation, and said goodbye. Will definitely use this service again! The technician, Peter was very professional and took time to explain all the issues I was having with my Jaguar.